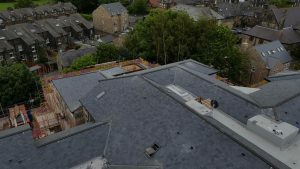 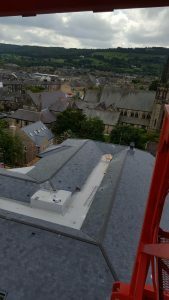 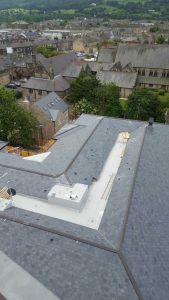 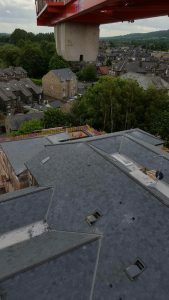 We were appointed to carry out the roofing works on the new residential apartment block overlooking the River Wharfe. 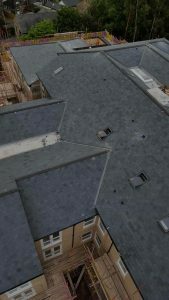 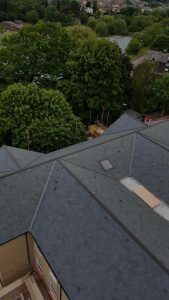 The Roofing works were approx. 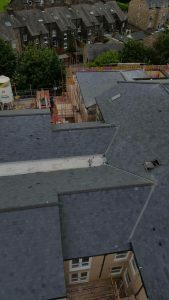 170o square metre. 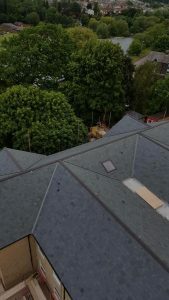 The roof was covered in Natural Chinese Fesco slates and incorporated Hips, Ridges, Valleys and various leadwork details.